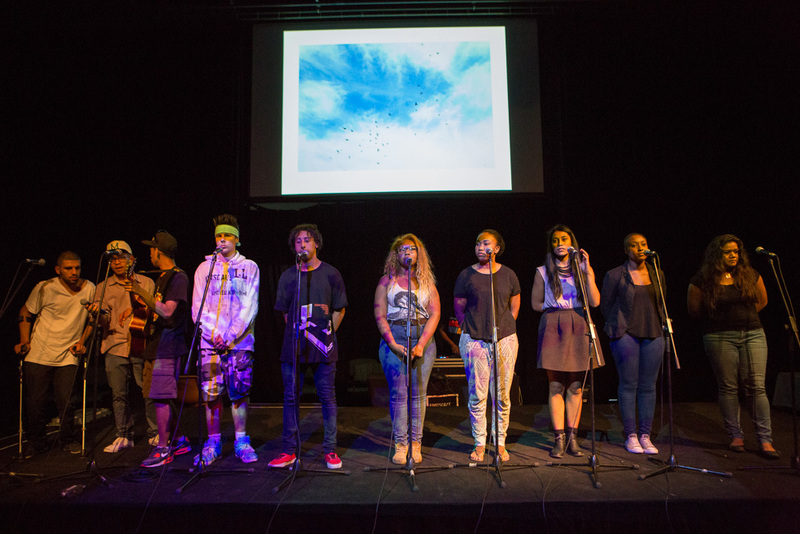 Inner beat is a partnership project with Arts Centre Melbourne (ACM) that will run from 2015-2016. The first stage titled Inner Beat- Projected is part of the 2015. Inner Beat Projected will create a series of new video and photographic works that are presented as large and small-scale projections indoors and outdoors in public space at ACM. The work will be created through a process of meaningful collaboration between emerging artists and experienced professional artists who specialise in cross-cultural work. Five new works will be produced that will seek to relate to and challenge the physical space they are presented in, from a cultural and contemporary youth perspective. The projected works will utilise dance/movement, spoken word, original music and performed actions. Inner Beat Projected will explore the role of art in democratising public or civic space through contemporary audio visual interventions.